Lorenzo's Pages | Sometimes I just want to say something. Hello, and a hearty welcome to you. Yes, this is what the fireworks is all about. I’ll start with a question: Are you dealing with what I’ve been dealing with? — The struggle of maintaining heart and sanity in a world that is getting crazier and hotter every day. I have this unsettling habit of starting each day by sitting down at my computer with a mug of great coffee and cruising through “the news” on three different “progressive” news websites. Why? I wish I had a good answer. I think I’m looking for some good news, some hope for change out there – out in the world. “Snowball’s chance in hell” you may be saying, and I would have to agree with you. Then I go to Facebook and scroll down looking for the “posters”, the graphics people have posted that remind me of another possibility of looking at this world that I am living in. Like: Thankfully I’m reminded over and over that I have a choice every single moment of where I want to put my attention, what I want to hold as my “truth”, and where my heart wants me to go. I know deep within that I have something to offer, some way to BE in life, that is nurturing, supportive, juicy, exciting, inviting, and more. I know that when that’s who I’m being I see and feel that my world keeps changing in ways that I really like. I want to let you in on something – I’ve been in this inquiry of creating my life for 30 years. Of course sometimes I remember the power and excitement of this journey and sometimes I forget it. Over the last five years I’ve been creating something to share with the world. When I’ve been creating it, the moment, the day, and my life are grand, when I forget it, my life is, should I say, less than grand. I’ve learned that there are some very powerful aids to help me in connecting, in opening my heart, in altering my world view. Simple, usable things that make this life worth living. These particular Golden Keys are Appreciation, Gratitude, Acknowledgment, and Empathy. These Keys are the basis of “The Book” – my Great Gratitude Adventure. When I am living with the Golden Keys, I am feeling fully alive, and THIS is where I am committed to living for the rest of my days. I created “The Book” as an online experience because I want to get it out into the world and I want your partnership. It’s not just about passing on information, it’s designed to be a dialog, a co-creation. I’m done doing it alone, and the internet allows the possibility of connecting with the world. It offers many ways to generate two-way and multi-way conversations. “The Book” is about bringing Gifts into our lives and the lives of others that are uplifting, that shift our ways of looking at our own worlds, that bring us and others more fulfillment, joy, satisfaction, connection, heart, and oh soooo much more. I invite you to join me in creating something bigger and more exciting than either of us can possibly imagine, or do on our own. I don’t know how to do that, (but I do know how to start) and I bet you that together we can generate something that alters our lives in unimaginable and irresistible ways. Join me in focusing our attention in directions that open and calm our hearts, generate a community, ponder uplifting and fulfilling topics, bring us back to our True Selves, and help to make this world a more livable and nurturing place. 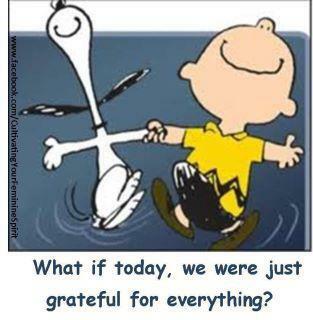 It sounds like a tall order, but I say that that is the power of Gratitude, Appreciation, Acknowledgment, and Empathy. So, without further ado, I invite you to “The Great Gratitude Adventure”. Please click on this link and come and play. This is a great pursuit. Thank you, Troy, and good reading to you. Yeah baby you did it! I am sooo proud of you and what you are putting out into the world!